CNN reports The man who opened fire on two New Zealand mosques last week may have succeeded in killing 50 people, but the country's leader has promised to deny him the one thing he truly wanted: Notoriety. 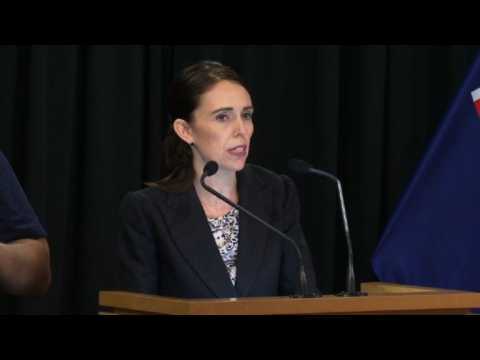 Prime Minister Jacinda Ardern told the New Zealand Parliament Tuesday: "You will never hear me mention his name," "He is a terrorist, he is a criminal, he is an extremist, but he will, when I speak, be nameless, and to others I implore you." Since the massacre, Ardern, at age 37 the world's youngest female head of government, has spoken with emotion and empathy, reassuring families and updating the public with the latest on the investigation. 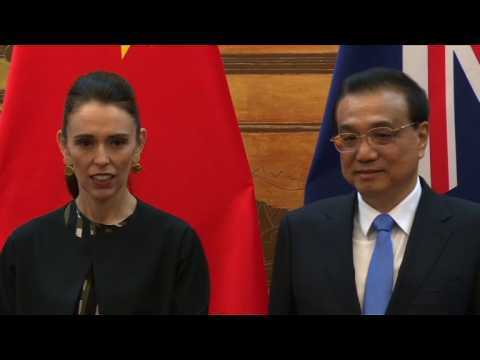 China and New Zealand sign a series of agreements at the Great Hall of the People in Beijing during a visit by New Zealand's Prime Minister Jacinda Ardern.